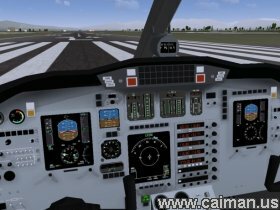 Caiman free games: FlightGear by Oolite. FlightGear Flight Simulator is an Awesome looking game and is maybe one of the best free flight sims on the Net. 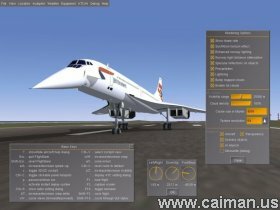 This game will take some time to get to grips with as it can be tough but as soon as you learn the basic then you will be cruising the skies with ease. Graphics and sound are great and if you are a Fight sim fan you won't be disappointed. Go to the website to download scenery and an extra 60 aircraft that range from jumbo jets to hand gliders and from fighter jets to helicopters. Explore the skies and download now. 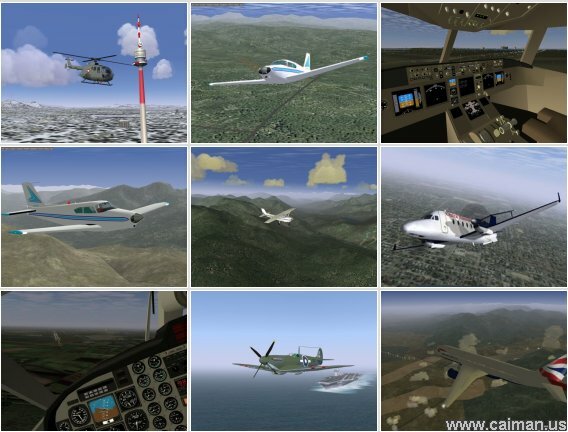 The goal of the FlightGear project is to create a sophisticated flight simulator framework for use in research or academic environments, for the development and pursuit of other interesting flight simulation ideas, and as an end-user application. We are developing a sophisticated, open simulation framework that can be expanded and improved upon by anyone interested in contributing. There are many exciting possibilities for an open, free flight sim. We hope that this project will be interesting and useful to many people in many areas. FlightGear has a seamless, continuous oblate ellipsoid world available for you to explore. Our terrain is based on 90m SRTM data and is very detailed. There are over 20,000 airports you can visit world wide. You can download 10x10 degree chunks of the world, run a utility called terrasync to fetch scenery as you fly. Authors home and downloadpage (install) 235 MB. New Zealand R/C model f.